Which Index (and Other) Funds Should I Invest In? If you’ve read any of my material you know I’m a huge proponent of index mutual funds. 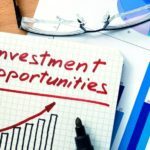 The specific reasons on why I believe investing in index mutual funds is a sound investment strategy is a topic for other articles. 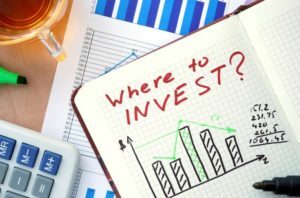 This article is less about the “why” of index mutual fund investing and is more about the “what,” or what specific index mutual funds should you consider investing in. Finding the best vanguards funds for retirement will vary depending on your current age, retirement age and goals. Founded in 1975, it is a stable, well-run firm. 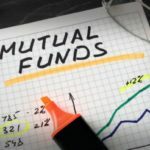 It has a wide offering of index mutual funds to choose from. Target Date, Emerging Markets, Growth Stock, Large Gap, S&P 500 Index, ect. The expense ratios to invest in Vanguard index funds are very, VERY low – some of the very best in the industry. You can conveniently manage your investments using Vanguard’s well-organized website (https://www.vanguard.com). Whether you have $10,000 or $10,000,000, following are specific mutual funds for you to consider investing in. Now lets look at some of the best Vanguard funds out there. The Vanguard Prime Money Market Account is invested in conservative, short-term, high-quality securities. It’s an excellent place to save money that you want to be safe and yet still earn a competitive interest rate. Unlike a CD, a money market account is liquid; you can write checks against it and you can also connect it to your bank account to wire money to and from it. Click Prime Money Market Account for an overview. The Vanguard 500 Index Fund is the granddaddy of them all, the very first index fund for individual investors. This fund is invested in companies comprising the S&P 500, one of the most followed stock market indices in the world. Investing in this fund gives you broad exposure to 500 large, U.S.-based multinationals that are selected to be representative of the U.S. economy as a whole. Consider this fund a workhorse, a common holding of most anyone who invests in index mutual funds. Click Vanguard 500 Index Fund for an overview. The Vanguard Small Cap Growth Index Fund is designed to track the S&P Small-Cap 600 Index. 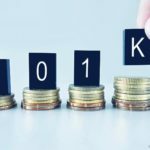 So while the 500 Index Fund invests in larger, more established companies, this index fund gives you investment exposure to that next strata of companies – those that are smaller, leaner, and up and coming. This fund can also provide good balance to the 500 Index Fund because smaller companies tend to perform differently than larger companies during various economic cycles, and being diversified in such a way can make your overall investment portfolio more durable. Click Vanguard Small Cap Growth Index Fund for an overview. The global economy doesn’t just revolve around the U.S., and Total International Stock Index Fund gives you the opportunity diversify geographically by enabling you to invest in large, non-U.S. companies based around the world. For example, this fund has holdings in Nestle SA, Toyota Corp., Vodafone Group plc, and literally thousands of other non-U.S. companies. Click Vanguard Total International Stock Index Fund for an overview. 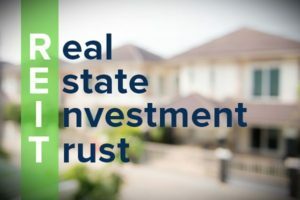 A “REIT” is a real estate investment trust, a corporation that qualifies for favorable tax status as long as it follows certain rules, one of which is that its assets must be concentrated in real estate. Thus REITs hold properties such as apartments, shopping malls, hotels, office parks, etc. Thus the REIT Index Fund gives individual investors a cost-effective way to invest in a widely diversified portfolio of professionally managed commercial real estate. 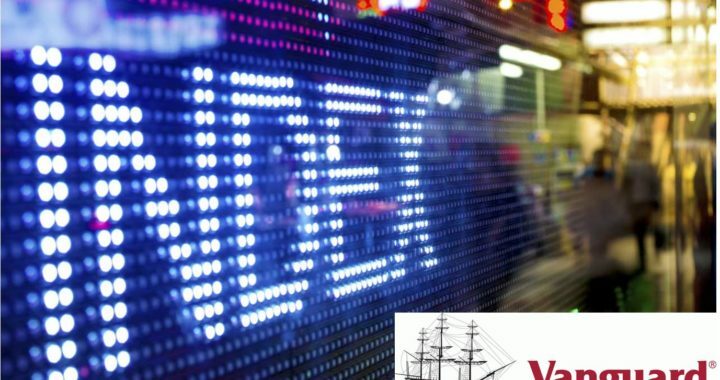 Click Vanguard REIT Index Fund for an overview. Energy is a vital element of the global economy. The Vanguard Energy Fund invests the bulk of its assets in companies engaged in the production and transmission of core energies such as oil, natural gas and coal. It also has some investments in companies engaged in energy research and conservation. An investment in energy can add a nice element of diversification to your portfolio because energy-related investments have the potential to go up even as the broader economy struggles. However, while energy investments can do well, they can also be quite volatile, so they’re not for the faint of heart. Finally, it’s also important to note that the Energy Fund is NOT actually an index fund, but since it can provide a good element of investment diversification and because its management expenses are very low I included it on the list. Click Vanguard Energy Fund for an overview. Click Vanguard Precious Metals and Mining Fund for an overview. The Short-Term Bond Index Fund holds a diversified mix of investment-grade debt with maturities from 1-5 years. This fund is passively managed to follow a common bond index by using a passively managed sampling approach. The Short-Term Bond Index Fund is an outstanding alternative to traditional 3 month to 5 year bank CDs because it can easily be sold without penalty and because it’s invested in hundreds of underlying debt securities as opposed to just 1 CD at 1 interest rate at 1 bank! Click Short-Term Bond Index Fund for an overview. The Total Bond Market Index Fund is, in my view, not quite what the name implies. Rather than include a sample of ALL bonds, this fund’s holdings are concentrated in debt securities that range between 5-10 years. As with the Short-Term Bond Index Fund, this fund employs a passively managed sampling approach, and it’s invested in a wide rage of government, corporate, and international dollar-denominated assets in an effort to track a commonly followed bond index (related to, but different than the bond index the Short-Term Bond Index Fund is designed to track). 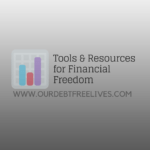 Click Total Bond Market Index Fund for an overview. 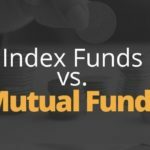 Which of the above index mutual funds should I invest in? My purpose in providing the list above is not to tell exactly which index mutual funds to invest in and what percentage you should hold of each, because I do not believe there is some “magic formula” that works for ALL people in ALL situations. 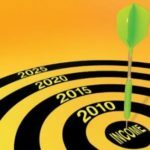 Instead, my goal is to provide you with solid investment choices that you can use as a baseline as you determine what your own investment strategy should be. Said another way, if all that you ever do is invest in a balanced mix of the above mutual funds according to an allocation you feel comfortable with (meaning X% in this fund, Y% in that fund, etc.) in the context of your particular goals, circumstances, preferences, risk tolerance, and personality then you’re doing what’s right for you. It really doesn’t have to be any more complicated than that. So make your investment choices, let your money start working for you, and then get on with the rest of your life! 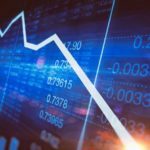 What if my company’s retirement plan doesn’t offer Vanguard mutual funds? Vanguard funds may not even be offered as choices in your company’s retirement plan (e.g., your 401k plan), and even if some are then it’s probably not going to be all of the ones you would be interested in. So then what do you do? Fortunately the management expenses in mutual funds offered by retirement plans usually much lower than the rates you could get on your own, so just pick investments that come as close as possible to what you’re looking for. For example, you may really like the idea of putting some of your money in the Vanguard Small Cap Growth Index Fund, but if it’s not an investment choice then it’s likely your retirement plan offers another fund that would enable you to invest in smaller companies. Should you invest in anything else BUT Vanguard’s index mutual funds? Thinking beyond your company’s retirement plan, of course there are other investment options aside from Vanguard’s index mutual funds. You could choose to invest from among hundreds of actively managed mutual funds, ETFs, raw land, rental real estate, individual stocks, gold, covered calls, etc. So the question isn’t CAN you invest in things other than Vanguard’s index mutual funds, but SHOULD you do so? The short answer is that if you’ve got an opportunity to invest in something that you know is comfortably below market value (meaning you’re almost sure you’ll make a profit) then it’s worth considering. Examples might include discounted company stock or stock options, land purchased at a discount from a friend or relative, or something along those lines. However, if you’ve got no such obvious “can’t miss” investment opportunities then, again, if all you did was build a portfolio with a sensible mix of Vanguard’s index mutual funds then that alone would be a good, solid, long-term investment strategy. Note that while this money market account is not FDIC insured, it is still considered to be quite safe. Note that “safe” in this context does not mean this investment is without risk. What I do mean is that owning a publicly traded and marketable security is vastly more secure than having some gold coins stuffed under your mattress (or even in your safe deposit box!). Note that I am NOT talking here about gimmicky, “click here or call this number and I’ll tell you the secrets of getting rich using my ‘secret’ method” schemes. No, I am talking about straightforward, real investment opportunities that you can understand up front before committing any money. This article does NOT constitute investment advice. See the site’s legal disclaimer here. Posted in Investing and tagged Mutual Funds.